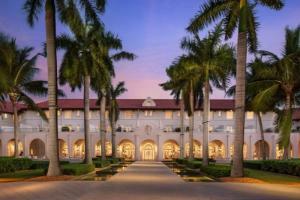 Originally opened in 1920, this resort has remained a landmark of the charm and tranquility of Old Key West. Guests can enjoy a luxury escape where lush green lawns meet the Atlantic surf on Key West’s largest private beach. Accommodations include 311 rooms and suites with optional views overlooking the lush courtyard, sparkling pools, and the ocean. Located just a few miles from Key West International Airport and steps away from the beach.